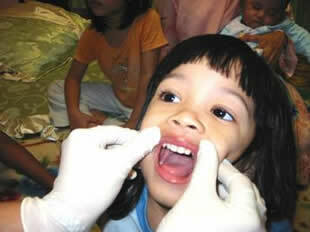 Good oral health is vital for the overall health and well-being of children. Deciduous (baby) teeth are important to the growing child. Apart from proper chewing of food and helping the jaw bones to grow and develop properly, deciduous teeth also provide space for the eruption of permanent teeth. They are also important for speech development and, if well taken care of, will function in the child’s mouth until 12-13 years of age. A nice set of teeth also contributes to a child’s self-esteem. The first deciduous tooth normally erupts when the baby is about 6 months old and by 1 year of age, the child may already have about 8 teeth in the mouth. Early childhood caries (ECC) can affect your child’s teeth as soon as they erupt in the mouth. Tooth decay, pain, infection and early loss of deciduous teeth can result if ECC is left unattended. 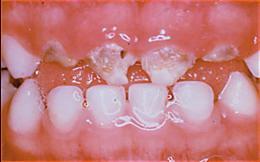 Early signs of tooth decay can often be seen in the mouth. The upper front teeth are usually the first teeth to be affected. 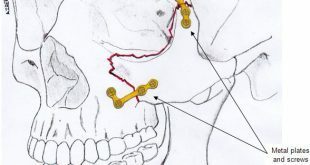 These teeth can be easily checked by retracting the lip. If detected at this early stage stopping or reversing the tooth decay process is possible. 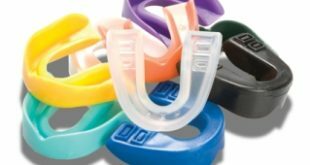 Parents should therefore use the simple ‘Lift the lip’ method to check their child’s mouth. Get to know your child’s teeth, as soon as they appear and in healthy condition. Lift the lip regularly to look for any changes in the appearance of the teeth. Two adults may sit facing each other knee to knee. Position the young child on the lap with the head back. Securely support on one’s abdomen while the other adult helps to hold the child. (Figure 1). Or have the child sit on the floor and look up at you. Older children can be checked while sitting close and across from you (Figure 2). Gently lift the upper lip and check the front and back of the four upper front teeth. This is the most common site of early tooth decay. Check new teeth in the same way as they come in. Observe the number of teeth that have erupted into the mouth. Check that the teeth are clean. Look for any oral plaque and debris. Decay may start under plaque that is not regularly cleaned away. Check for chalky white lines or spots along the teeth next to the gums. These may be the earliest signs of tooth decay (Figure 3). If you see any spots or cavities bring your child to the dental clinic as soon as possible.